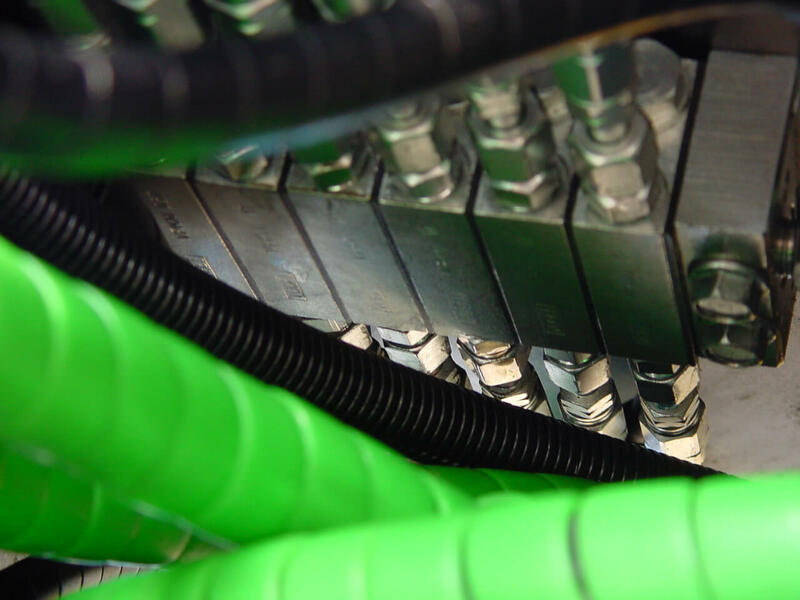 The demand for safe couplers on Powertilt solutions has been steadily increasing over the last years. In order to respond to this customer demand Steelwrist is now launching a Powertilt solution with Steelwrist patented Front Pin Lock technology. The new Powertilts are first displayed together with Yanmar Construction Equipment at the Samoter fair, February 22-25 in Verona, Italy. 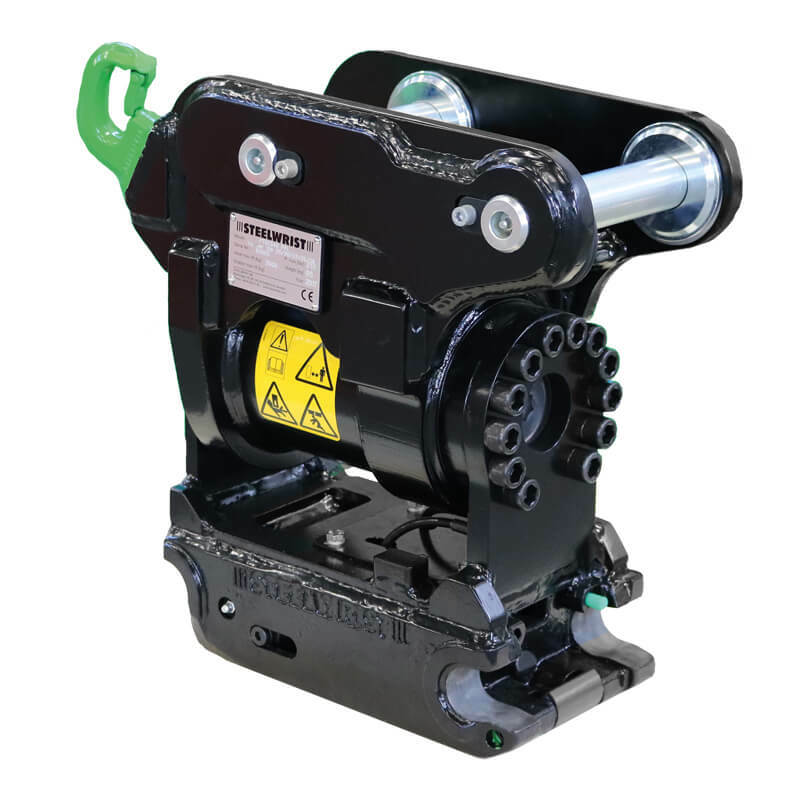 Up to now Steelwrist has been supplying symmetrical quick couplers to Powertilt AG that has delivered the complete unit including the tilt engine to dealers. The Steelwrist Powertilt is a marriage between the original tilt engine from Helac Corporation and the safe Front Pin Lock coupler technology from Steelwrist. The big advantage with the Steelwrist Powertilt is that the customer gets a safe and robust coupler which live up to all safety requirement without the need for a sensor based control system. The Steelwrist Powertilt can be used on any excavator with two hydraulic functions available. ”When you don’t need the full blown tiltrotator the Steelwrist Powertilt is a great solution. With more than 50000 Helac tilt engines in the field, our customers will get a robust solution that goes hand in hand with our steel casted couplers. We are extremely happy to be able to broaden our product portfolio with the Powertilt”, says Stefan Stockhaus, CEO of Steelwrist. The range will cover excavators from 2-20 ton and are available with symmetrical couplers S40 to S60. Deliveries start in March 2017. ”We are very happy to see that Steelwrist chose the Helac-Powertilt engine in their Tilt/Coupler solution. With the Front Pin Lock technology the customers will get a very simple and safe solution – something that we know is in high demand from our customer base”, says Rolf Hefti, CEO of Powertilt AG. Established in 1994 as a partner of Helac Corporation, PowerTilt AG is a distribution, production and service center for PowerTilt in Europe. The success stems from individually customizing each PowerTilt order to fit the machine’s unique requirements. Powertilt AG also offer a fully equipped service department that quickly and efficiently responds to each customer’s requests.